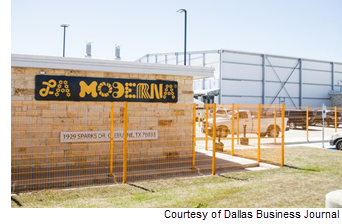 ​​​​​ CLEBURNE, JOHNSON COUNTY AREA – Mexico’s largest pasta manufacturer, La Moderna, opened a $50 million production facility in Cleburne. To serve as the company’s U.S. headquarters, the 150,000-sf plant sits on 16.5 acres at 1929 Sparks Dr. The project will bring 100 jobs to the facility, with an estimated 300 indirect jobs to support plant operations.